Home › Uncategorized › Join Us Next Week for Master Planning Workshop #2! Join Us Next Week for Master Planning Workshop #2! 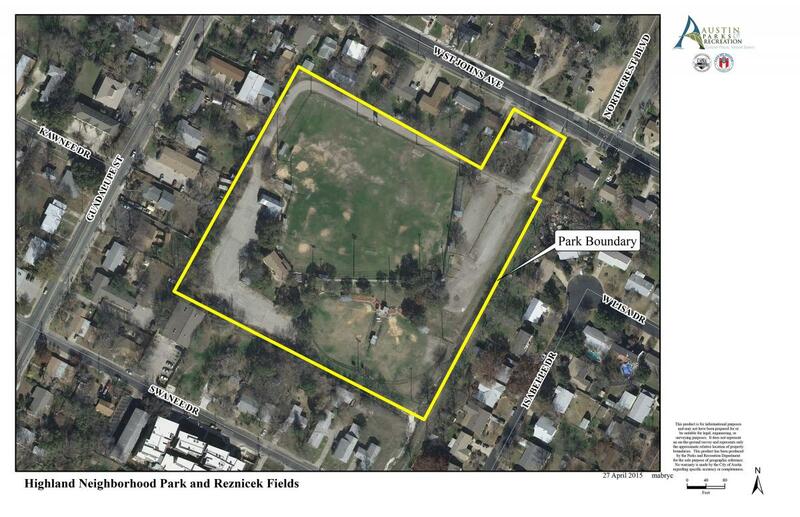 PARD and Norris Design have begun developing a Master Plan that will guide future development of Highland Neighborhood Park and Reznicek Fields based upon your input from the previous workshop in November. Come to this second planning meeting to learn about the results from the survey and previous workshop and offer feedback on several design concepts that will be presented at the meeting. Norris Design will make a presentation with the results and concepts, including the program for the park, such as size of playground, number of parking spaces, etc. Following the presentation there will have an open house forum similar to the first workshop, including a survey to get your feedback on the Master Plan concepts. On March 23rd the final draft of the Master Plan, including your feedback from this second input meeting, will be presented. Please join us February 10th, 6:30-8pm at Reilly Elementary School, 405 Denson Dr, 78752. There will be a children’s table, so bring your kids and to see ideas for their future park!